Raise Your Glass, LA’s premiere P!nk Tribute show, continues to expand it’s ability to let our fans connect with each other and share RYG with their circles of friends and family. 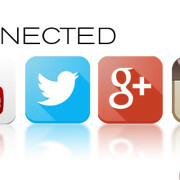 If you are reading this, you probably already know about our Facebook page, but now you can also connect with us on Twitter, YouTube, Google+, Instagram, Stumbleupon and Pinterest. If you like RYG, help us spread the news by following/subscribing to our social media contact points. We want to grow our family of VIP Members to be Global as well as Local. Raise Your Glass (RYG) is proud to announce the launch of its all new website at RYGRocks.com. The site is a one-stop shop for everything you want to know or find out about Los Angeles’ Number 1 Pink Tribute Band. Photos? We got em! Audio, We got em! Concert dates and Tickets? Yeah, we got em! Trivia, Bios, Booking Information…yeah it’s all there. Everything that makes RYG the amazing group it is. Everything that is except the most important ingredient. YOU!!! So get on over to the site and check it out. If you like what you see, please tell your friends and share it with others. If you don’t like it, feel free to go here. While you are on the site, PLEASE sign up for our VIP Clubhouse. We will be opening up this section of the website as soon as we hit critical mass. So come and help us build our community of friends and fans.